You must be washing your hair almost every day since childhood because your mother said so. You take a small portion of shampoo on your hand and apply it to your hair, massage, lather, rinse, and repeat until each strand is cleaned. After a while, you take a small coin-sized drop of conditioner and apply it to your strands and leave it for about 2 minutes minimum and then rinse it thoroughly. You must find you have a nice set of hair after this. But what if you are told you have been following a wrong way of getting your hair washed since ages? Yes, there are different ways of washing hair. The correct way will give your hair the right amount of shine, bounce, and health. The wrong process may give least results by damaging your hair quality or by damaging your lovely locks. In this article, we will share with you some tips on hair wash and help you in finding the best shampoo and conditioner for you. 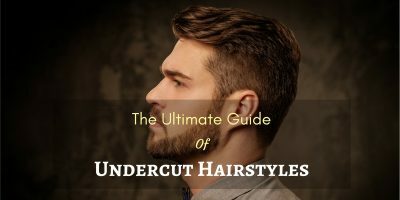 How to determine your hair type? Oily skin means oily hair. There is not much of a difference between your visible skin and scalp, excess secretion of oil makes both body areas oily. Within two days of shampoo, your hair will look greasy. Excess secretion of oil results in dandruff which ultimately leads to hair fall. Avoid using hot water on your hair as it will stimulate oil production. Don’t run your fingers through your hair frequently as the oil might get transferred from the skin to the scalp. Use herbal remedies. Don’t condition your roots. Ineffective oil glands will lead to dry hair. Dry skin will correspond with dry hair. If your oil glands in your scalp doesn’t produce enough sebum, your scalp will be dry. Excessive breakage of hair and loss. Split ends will be present. Overexposure to sun or use of harsh chemical compounds results in dry and frizzy hair. Don’t shampoo daily as it will dry your hair further. Use home remedies like an avocado mask. Leave it for 30 minutes and then rinse. Condition deep or go for leave in treatments. One is lucky if he/ she have normal hair. They are not that easy to maintain and has the correct pH balance. This gives them natural shine and keeps them healthy. Maintaining them is a tuff task - precaution for cleaning, moisturizing, and nourishing it; avoid getting your hair exposed to the sun; etc. This is the most uncommon hair type to be found. Least or no hair fall. Eat a balanced diet to maintain the hair type. Want to know what is your hair type? It is simple. On the second day after you wash your hair, dab a tissue on the scalp. See what happens. Here are different conditions that help you to determine what your hair type is. Oil blot - Normal Hair. God made everyone unique and so feminine and masculine hair differ on some grounds. Men have short and clean trimmed hair while women have long and wavy hairs. They have differences in length, oiliness, moisture, dirt accumulation, etc., so the products and routine must also be different. Men have a number of oil glands that make them sweat more and cause the dust and dirt to stick to the hair strands. The male hormone secretes oil and thus makes the scalp oily. Women’s hair, on the other hand, secretes less oil. This makes the men to shampoo on a daily basis but the women can’t shampoo daily because the scalp will become dry. Also, the men product has all in one formula, having shampoo, conditioning, and moisturizing benefits because they are a little lazy and would not moisturize it separately. They have short hair that doesn’t need much conditioning so they can wash their hair daily with their products. Women’s long hair calls for daily nourishment and care and to protect over-drying, they can’t shampoo every day. There is not much difference in the process to do shampoo. The major difference lies in the product for the two genders. If you have an oily scalp and you think that not doing s﻿﻿hampoo and conditioning daily is a solution to stop the stimulation of oil, you are wrong. This will lead to over dryness and to compensate it, your oil glands in the scalp will produce more oil. Don’t go for labels that read moisturizing or hydrating as it will add moisture to your already oily scalp. Choose a shampoo that reads volumizing, strengthening, or balancing. Along with it, use a conditioner that has carrier oils like- coconut, avocado, jojoba, or argan oils. This will nourish your hair follicles. When the hair follicles will sense moisture, they will not produce as much oil as before. If you have a dandruff problem, oily scalp often has dandruff, try an anti-dandruff shampoo that has ingredients like- ketoconazole, zinc pyrithione, or selenium sulfide. Look for a shampoo that is specially designed for dry scalp. They will provide intensive moisture to your dry scalp. If you opt for labels that read strengthening, volumizing, or fortifying, they will rip your scalp of the already present nutrients. Go for labels that encourage moisturizing, hydrations, smoothening, or curls. Shampoo that contains sulfates makes the scalp very dry. Shampoo that contains menthol, tea tree oil, or Nioxin, will add moisture to your dry scalp. Use a conditioner with lots of natural oils like jojoba, grapeseed, and argan oil. If you have a normal scalp, you don’t need to go looking for different shampoos in the supermarket that provides you tons of promises and nutrients. You can pick any generic brand from an array of shampoos as this type of hair doesn’t any special treatment. But be sure to pick a mild shampoo and conditioner. Gray hair was a dreaded sign of aging but now, it attractive and grabs attention is it is well-maintained and healthy. It doesn’t have to be dry, brittle, and lifeless. The shampoo for gray hair is available in the market that is specially designed for gray hair and makes them classy and elegant to look at. Don’t go for brands that promise immediate results, they will not give a natural look. Choose a shampoo brand that offers moisture to alleviate dryness and darkens the gray hair. Shampoo that contains Omega 3 will penetrate the hair follicles and preserve the hair color and a bluing tint that avoids yellowing of the hair. Use a leave-in conditioner with natural oils like argan, coconut, jojoba to combat excessive dryness. Damage﻿d﻿ hair needs extra care and added nourishments that normal shampoos don’t provide. You should opt for a shampoo that has argan oil, sunflower seed oil. Argan oil is rich in fatty acids and makes the dry and coarse hair softer and silkier. Sunflower seed oil also does the same and makes your hair fine without getting its weight down. Don’t use a shampoo that forms a lot of foam as they strip your hair and makes the cuticle rough. This makes the hair frizzy and parched. Use a shampoo full of kerati﻿﻿n as each of your hair strand is made up of keratin and amino acids. The protein-rich, keratin shampoo keeps your tresses long, strong, and shiny. You should choose a conditioner that has ionic complex so that it nourishes and reinforces it natural protection properties on your hair. The conditioner that has all the essential oils is the best for treating damaged hair. Bi﻿﻿otin shampoos are best to treat hair loss and stimulate hair’s growth. It reduces breakages and premature hair losses. It preserves your hair’s strength and texture. It makes the hair healthier as it revitalizes your hair follicles. Biotin-rich shampoo strengthens the surface of the hair strands and increases the diameter of the existing hair. Niacin also makes the hair stronger. Shampoo and conditioners having plant stem cells stimulate hair production in follicles that were thought to be dead. Conditioners with vitamin oils help to rejuvenate the hair of the lost moisture and beauty. The coloring of hair is very much in trend in nowadays. People are getting their hair colored or highlighted. But are the normal shampoos enough to keep them secure? Markets have color treated shampoos and conditioners that help to preserve the color for a longer time. Use a shampoo that has gentle dirt busters because sulfate that is present in almost all shampoos, strip color molecules along with dirt particles from your hair strands. Shampoo must be alcohol-free and contain extra emollients, moisturizers, and protein to give the hair follicles luster and shine. It should also help the hair to stay smooth. Grab a shampoo that has sulfate free labels that read: sodium lauryl methyl, decyl glucoside, ammonium acyl isethionate, etc. They are mild on your hair but still effectively cleanse the scalp. Heating is an enemy of color, i.e. it promotes color fading. Shampoo that doesn’t have UV absorbers and antioxidants rip the color pigments from the hair strands. The hair becomes dull. To prevent color fading shampoos with UV filter can reduce color fading by 40%. When talking about conditioners, a conditioner for colored hair must have ultra-hydrating qualities and no added sulfates and parabens. Acne breakouts are not only common in facial and body, but also on the scalp. Salicylic acid in the scalp acne solutions helps in eliminating the existing acne on your scalp and prevents from future breakout. The vitamins and conditioners in shampoo give strength to the hair follicle. Use a﻿ shampoo and conditioner that has low oil content or that doesn’t let your follicle produce more sebum because oily scalp increases the risk of scalp acne. Avoid using shampoo with benzoyl peroxide as it can bleach your hair if it comes in contact with your hair. Seborrheic Dermatitis is an extreme form of dandruff which is caused by the same factors. An active ingredient, selenium sulfide, found in Head and Shoulders Clinical Strength Shampoo is the most effective shampoo that helps in fast flake removal. It is active than any other ingredient found in regular shampoos. It kills the scalp microbe, Malassezia, and keeps you away from itching and redness. Use it twice a week for effective results. The conditioner must be free from SLS, SLES and sulfates. It should maintain the skin’s natural pH level, i.e. at 5.5. It is the formation of dandruff and causes redness, itchiness, and dryness. It is caused by the greasiness developed in the scalp that forms a microbe called Malassezia on your scalp and causes eczema. E﻿﻿czema shampoos must contain ketoconazole, salicylic acids, zinc pyrithione as it can help reduce the itchiness and flakes if used 2-3 times a week. If you are suffering from eczema make sure to check your conditioner label to avoid fragrance and other unnecessary harsh chemicals or additives. Psoriasis leads to itchiness, redness, as eczema. You may get shampoo for psoriasis at the counter of medical stores. These shampoos must have coal tar and salicylic acid. They also have the same ingredients and lotions that a doctor recommends for psoriasis treatment. Coal tar hardens and thickens the skin of the scalp by slowing the growth of the cells. It also makes the scalp more sensitive to the sun. Salicylic acid shampoos lift, soften, and gets rid of the scales on the scalp. Sulfur present in some of the shampoos may help to stop the growth of the fungus. A conditioner for psoriasis must not leave any residue on your hair as it might irritate the scalp more. It must have natural oils and ingredients that nurture your hair and make it healthy. An itchy scalp may be an issue due to the fungal growth, oily skin, improper cleaning, etc. There are itchy scalp shampoos and conditioners available. Tea tree oil contained in shampoo dries the scalp and prevents the growth of fungus that develops dandruff and causes itching. Peppermint, chamomile, and lavender are also contained in shampoos that treat the itchy scalp. From itchy scalp to white flakes on your clothes, dandruff is a big problem. Ketoconazole, an ingredient in dandruff shampoos targets the fungus. Some shampoos that help fight dandruff and related problems are Nizoral Anit-Dandruff Shampoo, Head & Shoulders, Neutrogena T/ Gel Therapeutic Shampoo, and DHS Shampoo. They are well-known for reducing the shedding of the dry skin and preventing the appearance of white flakes. Anti-dandruff conditioners must have active ingredients to fight against dandruff. It gives the best result when it used with anti-dandruff shampoo. When do you wash your hair? Most people wash their hair in the morning or as and when they get time to do so. Had you ever thought that time matters while washing your hair? Is there even a correct time to wash your hair? Yes, there is. We had a talk with one specialist on the matter and he gave us the correct answer. You must wash your hair in the night. During the night, the hair gets sufficient time to dry naturally. It escapes the morning sun’s heat (the less heat, the better hair). You might get grumpy at the thought of going to bed with wet hair or waking up in the morning with a crazy hair-do. Don’t worry much about it. Blow-dry it a little at low heat before going to bed, only leaving a little moisture. You can even style your hair overnight without any heat and be ready to get going in the morning as you don’t need to spend much of your time styling your hair again. ​Your hair swells when they dry. So to avoid any breakage of hair, don’t put up a ponytail when your hair is wet. Wash your hair at night and style them overnight for a flawless morning. Combing helps in removing dead cells and dirt from the scalp to a lot of extents. It also detangles your hair that ensures that there is less breakage of hair during the shampoo. This reduces your efforts while you shampoo your hair. You might have had a hairstyle done for a party, wedding, or any other occasions. Hairstyling involves the application of heat, hairspray, and other chemical compounds that are used for keeping the hair-do at a place. Before you shampoo make sure to get rid of these styling products. You can use a gentle conditioning or a nourishing cream before washing. As you need to rinse your clothes before the application of detergent, you need to soak your hair with warm water running slow before you apply shampoo. Don’t boil the water, keep it lukewarm. Warm water will remove any dirt particles from the cuticle by opening it. It also loosens the oil in the scalp and opens the hair cuticle, which allows it to absorb oil while conditioning. You can even use a water filter that will extract any harsh mineral from the water and you will feel clean and fresh when you shampoo. If you have hair length below the shoulders, apply conditioner to your hair before you shampoo to prevent the ends from drying and gives them moisture. Long hairs are prone to split ends. Conditioning will fill the gaps in the cuticle, adding moisture and shine to it. Avoid using it on your scalp. Apply it only to the strands and hair tips, one or two inches away from the scalp. Squeeze a quarter-size shampoo on your palms and apply it first on the scalp and then gradually move towards the end of the strands. The scalp needs utmost care because it is the home of new cuticles and the oiliest part with a lot of dirt. The tips are the old, dry, and most fragile part. Be gentle and always use your fingertips to gently massage your head, never nails. Avoid the use of palm on the top of your head and tight circular motion because it will tangle-up your hair and cause breakage. You can increase the scalp’s blood flow and stimulate hair growth if you use gentle vertical strokes. If you have hair longer than shoulder length, you can double the size of the shampoo. Rinse your hair with warm water until the shampoo is washed away. Gently squeeze the excess water from your hair to prepare it for conditioning. You can re-apply the shampoo and rinse again if you feel the need. Use a coin-sized amount of conditioner and apply it on from the mid-shaft till the tips. Don’t use it on the scalp because the scalp is already concentrated with natural oils. Leave it for about 5-10 minutes. The longer it stays, the better it absorbs and makes the hair softer. Rinse for the last time thoroughly with cold water to get rid of the conditioner. Cold water shuts the cuticle opening which helps it to reflect most of the light falling on, it and giving it the shine it needs. You can wrap a towel around the head to soak the excess water but never rub it through your hairs. Wet hairs are weak and sensitive. It will break them. Avoid combing wet hair. Once your hair is dry, apply a nourishing cream or serum to the strands leaving the scalp and roots. These are the steps involved in shampooing your hair with the all the minute details. Here are some tips for different hair types. Avoid using creamy products on a daily basis as it adds oil content to your hair. If you have oily hair, you can use dry shampoo for alternative washes. It adds texture and volume to your fine hair. If you have oily hair, use a conditioner with tea tree oil to absorb extra oil. Use a shampoo specially designed for dry hairs to add the right amount of moisture to it. 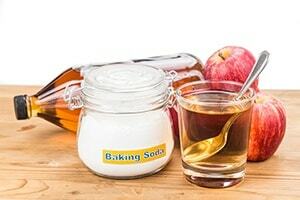 First, rinse with baking soda and then rinse your hair with apple cider vinegar (50/50 ratio). Repeat it in every 5-7 days. 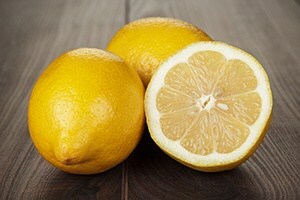 If you have straight hair with dandruff problem, squeeze a lemon in an equal amount of warm water, apply on the hair and leave it for 10 minutes. Then rinse. Add ¼ cup of clay in water and massage your wet hairs for 5 minutes and then rinse. You can add essential oils for fragrance. Use kaolin clay for normal or dry hair and green clay for oily hair. Use the conditioner the way you use it if you have normal or dry hair. 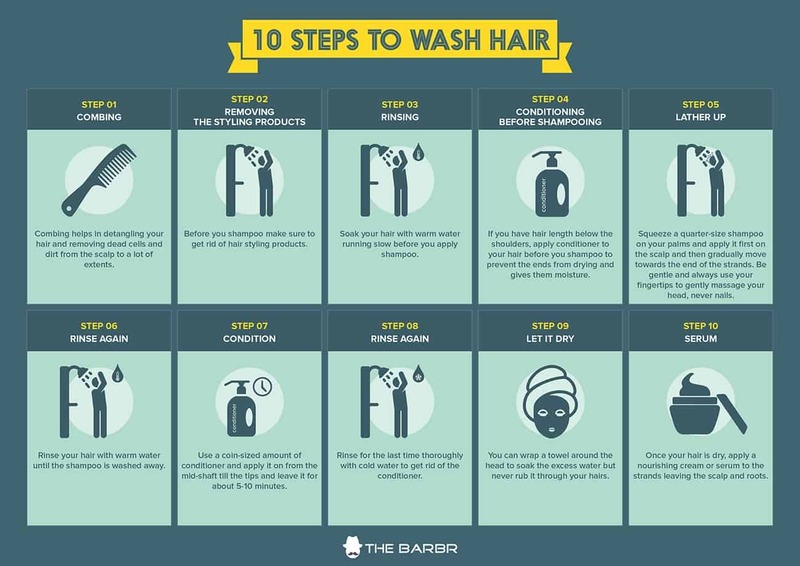 These are some tips if you run out of shampoo and all stores are closed. They leave the same results that shampoo gives. It depends on your hair type that defines how often should you wash your hair. If you have thick and curly hair, you can go a number of days without washing, whereas a thin hair needs wash frequently. 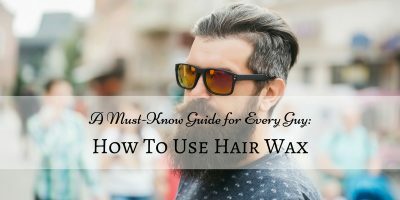 Not knowing your hair type - If you don’t know what your hair type is, you will not understand what does your hair actually want and end up using any product. This will cause either in drying or greasing your hair in excess and cause breakage. Incorrect temperature - If the water is too hot or too cold, you will end up damaging your hair due to extreme temperature. The need of warm water is already discussed above. Skipping conditioner - Conditioner provides essential oils to the hair, detangles, and makes it silkier. Not applying conditioner will cause hair breakage. Rushing the process - It takes some time for your hair to absorb the oil from the shampoo and conditioner. If you are too quick with the routine, your hair will be dull with no added nutrients. According to an interview of TODAY Style with celebrity hair stylists, they found out some expert advice and tips on hair care. Experts say that knowing your hair type and washing your hair in the correct manner, accelerate the flow of blood in your scalp and keep your hair healthy and shiny. Guys or girls must wash their hair twice to thrice a week. If there is a day when you sweat much or your hair needs a wash, just use the conditioner or a cleansing cream and it will do the needful. Use good quality conditioner as will not weigh your hair down. Using gentle and plant-based products for your hair as chemicals may lead to hair breakage. Know your hair type and follow the step to wash your to have a bouncy, shiny, healthy, and flawless looking hair. You can comb your hair through the conditioner to prevent knots. Shampoo and conditioner are indicated to use for different portions of the head. Shampoos are meant for cleaning the scalp in the shower and then slightly move towards the end. Conditioners can damage the scalp by accelerating it to produce more oil and so it must be used from the mid-lengths to the end. Please don't forget to hit the share button below and leave your thoughts in the comment section. We would love to hear from you!